Corral Boots is the official footwear of the National High School Rodeo Association. The National High School Rodeo Association thrives on its support from national sponsors and strives to be the best in promoting the sport of rodeo and continuing education. Recently, the Association partnered with Corral Boots to be the official footwear of the NHSRA. NHSRA awards more than $220,000 dollars in scholarships from sponsors alone and is excited to continue that tradition with this new partnership. Corral Boots is a western boot company, born in Texas. The brand provoked a revolution in the western fashion perception in 1999, and it continues to push the frontiers forward. Every boot is handcrafted by an average of 180 hands per pair. Redefining the standard and intersection points of western fashion and high-performance boots. “We believe in the youth of America. The cowboy and cowgirl values are needed today more than ever. That’s why it’s a perfect match. NHSRA’s main objective is to promote the sport of rodeo and continuing education and we support this vision. 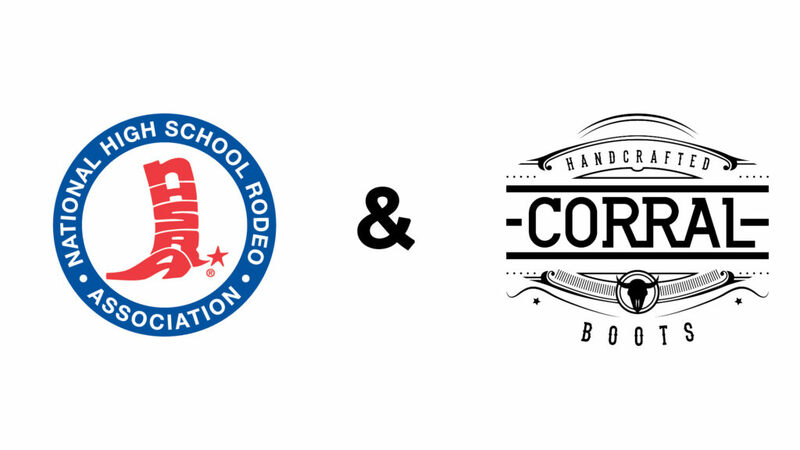 At Corral Boots, we live this vision and look forward to working hand in hand with NHSRA to create new, exciting opportunities for youth rodeo, youth and the western lifestyle,” stated Christian Stefanoni, marketing director, Corral Boot Company. For more information about Corral Boots or to purchase your next pair, visit the newly updated corralboots.com. Corral Boot Company is owned by The Cuadra Group. They own their own manufacturing plants and tanning facilities with an extensive wholesale sales force in the United States doing business in Canada, Europe and South America. The National High School Rodeo Association was founded in 1949, the mission of the NHSRA has existed first and foremost to promote and support education and to develop the essential attributes of leadership, dedication, commitment and responsibility in high school students. While preserving the western heritage, the NHSRA teaches its members to maintain the highest regard for each other and their livestock. The NHSRA’s mission does not stop on the high school level, as the Association also strives to impart to its members the advantage of higher education and the desire to never stop learning. The NHSRA supports their dreams by annually awarding more than $550,000 in scholarships at the national level, and $1.8 million in scholarship cumulatively on the international level. With over 70 years of history behind the NHSRA and continued growth and success, the organization is preserving the past and preparing for a successful future.